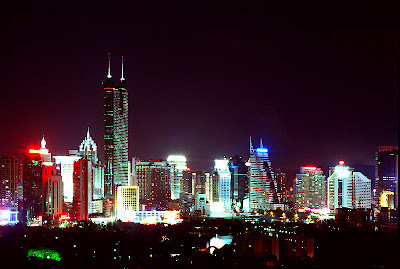 China Green Buildings: Land Use Rights in China: an Opportunity for Green Policy? Land Use Rights in China: an Opportunity for Green Policy? This post will focus on the unique real estate laws in China and what these laws might mean for green building. Since China is still technically a communist nation, land is government owned. But as we know from my blog posts on the Nokia campus, the Linked Hybrid, and Prosper Center, private developers and corporations can obviously buy the rights to use the land. By the end of the Cultural Revolution in 1976, nearly all land was owned by collectives or by the state. Private property rights virtually disappeared and land transactions were banned. Modern land reforms began in the mid-1980s. 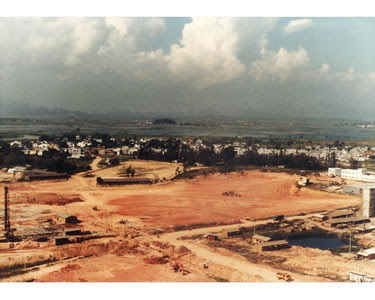 Following a successful experiment in Shenzhen (a Special Economic Development Zone on the border with Hong Kong), in which state-owned land was leased to foreign corporations, the Constitution was amended in 1988 so that “land use can be transacted according to the law.” In 1990, China officially adopted land leasing as the basis for assigning land use rights to urban land users. In the current property rights regime, use rights for specified periods can be obtained from the state through the up-front payment of land use fees. The fees are determined by the location, type and density of the proposed development. This separation of land ownership and use rights allows the trading of land use rights while maintaining state ownership of land. For the Chinese government, this separation offered three advantages: first, market mechanisms could help guide the allocation of land resources; second, land use fees would provide local government with a new source of revenues; and third, by retaining state ownership, social and political conflict would be minimized. This change to the Constitution spurred private development of property and provided a legal basis for real estate transactions, since these land use rights are transferable. This property rights regime laid a foundation for the massive Chinese construction boom of the last 20 years. But this early property rights regime created some uncertainty. Land use rights were transferred to property for a fixed time period: residential property for 70 years; industrial and commercial property for 50 years. With respect to Land Use Rights (LUR) for residences, the Property Law has now clarified that the contracts will definitely be extended; the only question is the price. As I understand it, the government is considering a couple of different alternatives. One would include using an annual property tax approach, similar to what we have in the US, which would then generate regular revenue streams. However, whether to take this approach or to use some hybrid of it and the payment of 'grant fees' remains to be sorted out. Assume Investor A buys this office building today and expects to sell it 10 years later to Investor B, who will also hold it for 10 years. A major part of the return on investment for Investor A will be the sale of the building in 10 years. But Investor B will also have the same logic, and plans to sell it to Investor C. But Investor C will have to deal with the huge uncertainty surrounding the property rights, which will lower the price Investor C is willing to pay for the building. This will also lower the price Investor B is willing to pay for the building, and as a result reduce the price Investor A will pay today. Of course this assumes that these investors actually value this uncertainty and don’t just ignore it, which might not always happen. But as the time to end of lease draws closer, it’ll be more and more important for China to fix this problem. Opportunity for progressive green building policy Certainly China Law Blog’s concerns are legitimate. It’s important the state not act unreasonably by seizing productive commercial property with no compensation. But why should the government just give away these valuable land right extensions for nothing? I propose that the Chinese government trade land use rights extensions for progress on building energy efficiency. Essentially, the government will automatically grant the rights to a developer or building owner who undertakes energy efficiency retrofits. The land use rights extension period can even vary depending on the level of efficiency achieved. So for example, if a developer reduces energy usage by 20%, maybe they get a 10 year extension. But if they reduce energy usage by 50%, maybe they get a 25 year extension. This process will then repeat itself: it will require continuous improvement in building energy performance in order to maintain land use rights. This approach is modeled on the EU’s Directive on the Energy Performance of Buildings, which came into force in 2006. The directive requires that anytime a building is sold, the owner is required to obtain an energy performance certificate (EPC) from a qualified building expert. The EPC requires that the building meet minimum energy standards. In some ways, an EPC also functions like nutritional label, but instead of alerting the consumer to saturated fat or sugar content of a particular food, it alerts a tenant to energy use characteristics of a particular building. This law is extremely progressive because it gradually requires all buildings to measure their energy usage. And of course once people measure something, they usually try to manage it, which should have the effect of driving down overall energy use in the built environment. The Chinese government could and should take this model from Europe and mold it to their own needs. By trading energy efficiency improvements for land use rights, China could seize a unique opportunity to kill two birds with one stone: remedy the current uncertainty relating to land use rights and simultaneously make buildings greener.